I’m a mix of Norwegian and English, father and husband, chef, entrepreneur and homeboy. I am also a 500 hour Dip 2. IYN accredited yoga teacher. I have been practicing and teaching yoga for more than 20 years. During that time I have owned and managed a yoga studio and retreat centre for 18 years and completed 2 yoga teacher training programmes. I have been fortunate to have met many inspiring teachers in the tradition of yoga, having spent many days on retreat and in workshops continually learning. My aim now is simply to teach what I know to the best of my ability, to enable you to understand enough about yourself so you can develop a safe yoga practice. Yoga teaching is my passion. It is the thread that has weaved so much of my life together. it connects us and keeps us together..my understanding of this is the teaching i’ll share with you. Life appears to move so fast today having a distracting and fragmenting effect on the individual. It’s easy to forget how to live simply and be present with yourself. Society can seem to take us further away from a fundamental connection with ourselves which we seek. This continuous search seems to be a major cause of stress, the root of many illnesses. My yoga practice has been a constant source of peace, power and inspiration. As a man, as a husband, a father and as a family. It keeps unfolding and is a living part of how we lead our lives, it brings love and appreciation, peace and fulfilment. My own practice and teaching started with Sivananda yoga in 1996, a few years later I did my first yoga teacher training course, qualifying to teach in 1998. Since then I have diligently practiced and learnt about myself through Yoga. 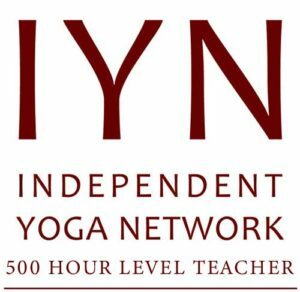 I did my second yoga teacher training in 2015 and am a IYN registered 500 hour teacher. The way I teach now is very different to how it was when I started. Scaravelli inspired yoga is not dogmatic, its an individualised approach which can help and encourage you to realise you have choices. How to let the body find its natural way into functional movement that suits the individual. I encourage students to explore through clear techniques how they have embedded holding patterns, through injury or just life. Once we can let go of these the breath and fluid body responds without our will, then the yoga practice takes on its own life because its completely natural to us. 2018 Accredited IYN 500 hour yoga teacher. 2015 Graduated with a 200 hour Dip. 2 Scaravelli inspired yoga teacher training qualification from the IYN accredited Acquaviva School of Yoga. 2007 – to-date. I have worked with many leading Scaravelli teachers including; Angela Farmer, Diane Long, Sophy Hoare, Pete Blackaby, Marc Acquaviva (aka Marc Woolford), Sandra Sabatini and Gary Carter. 2002, we set up a yoga centre for the Island from our home, as Yogi Generation later renamed Isle of Yoga, we have hosted retreats, workshops, classes and residential courses since then. 2001-Suffered a prolapse disc which lead me to the Scaravelli approach to practice and yoga. 1999 -2002 Studied with Clive Sheridan at yoga retreats in England, Nepal and India. 1998 Graduated with a 200 hour RYT Yoga Alliance qualification with Sunra School of Yoga teacher training. Based on the Sivananda School of yoga. 1996 Exploring Yoga and Meditation as a home practice. I’m 55 now, and have never felt better in my whole life, this yoga really works.